At Affordable Pools, we pride ourselves on bringing our customers the best bang for their buck when it comes to chlorine or freshwater above ground pools. Our pools are Aussie built so that they can stand up to the fierce Aussie heat and sunshine! We have a large range of quality pools that won’t break the bank. Either standalone, or submerged in decking, our chlorine/freshwater pools make a great choice in Australian backyards everywhere. Affordable Pools budget range starts right here with the Billabong Pool. With variations for the model starting at just $1840, the Billabong Pool is an affordable choice for any family to cool down in the summertime. Made from galvanized steel from BHP in the gorgeous Sandstone colour, the model also features a 40mm top rail, heavy duty liner, skimmer, and ladder – all in a braceless setup. Available in round or oval varieties, each pool has a depth of 1.32m. 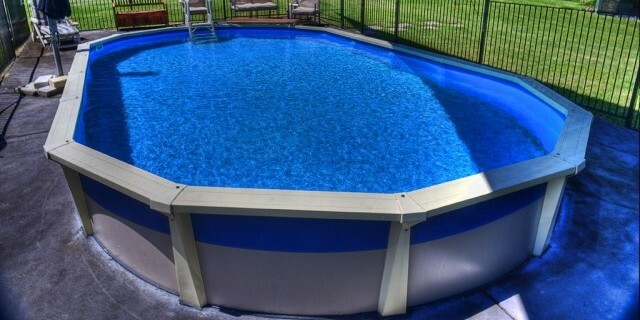 Round pools are available in a 3m, 3.65m, 4.50m, or 5.40m circumference, and the oval pools come in 3.0m, 3.65m, or 4.5m width with length varying from 4.5m to 11.8m. These pools have a warranty of 10 years. The Cape York Range is one of our deepest pools. 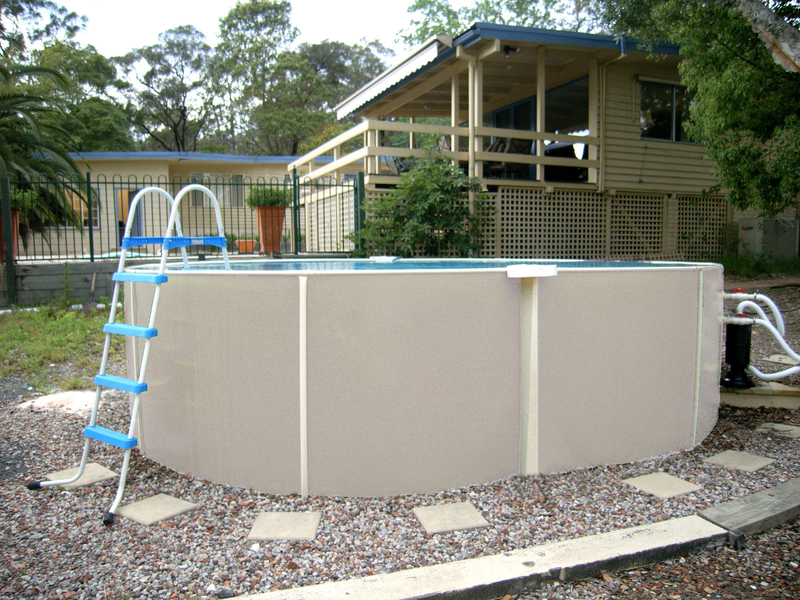 With the Cape York model, you can choose from the standard 1.32 metre depth, or choose to add a deep end up to 1.7m. This very popular model comes in either a round or an oval shape and is constructed with galvanized steel from BHP Colourbond walls in Sandstone, a cream metal frame, and tapered upright supports. Round pools come in 3m, 3.65m, 4.50m, and 5.40 metre circumferences. The oval pools come in 3.0m, 3.65m, and 4.5m wide models with up to 11.8 metres in length. You can choose the pool only version, or a package that comes with a manual vacuum kit, a filter, and a pump. Prices for the Cape York range start at just $3090. We also have a range of freshwater Spacesaver Pools, specifically designed for those who have smaller yards. These come in either a 1.2m or 1.32m depth, and there is a 20 year warranty on all models. The pools come in a 2.4m width, with 3.6m, 4.8m, 6.0m, 7.2m, 8.4m, or 9.6m length, or a 3.0m width, with 4.5m, 5.6m, 6.8m, 8.0m, or 9.2m length. Prices for the Spacesaver range start at $3700. Looking for a new pool for the summer? Why not give us a call on (02) 8625 3656 to discuss your options for a chlorine or freshwater pool. Our range of affordable pools is sure to be just what you need to cool down in the hot summer months without blowing out the budget.